Calculating dimensions of entire assembly as well as individual assembled components. Utilizing 3D scanning as well as CMM techniques to capture the profile and generate error free CAD model. Recording dimensions manually for critical and/or complex regions for accurate geometry building and inculcate design optimization. Automotive Industry has components that have been in existence since pre-CAD era and extreme exposure to wear and tear has caused them to be worn out. 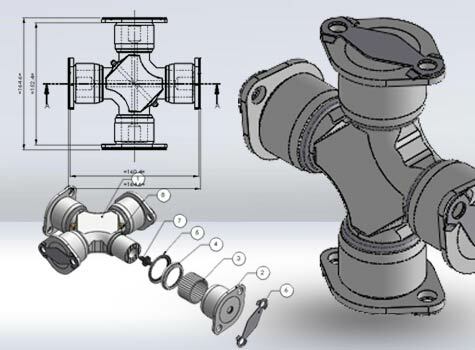 For the client, auto parts manufacturer, it was the exact situation when we partnered with him to reverse engineer the parts and re-create 3D CAD geometry. Client shared 3D scans for the geometry of various parts, and CMM readings were taken by our teams on site, to accurately measure the dimensions. Each part was disassembled step by step and readings were recorded. The scans were imported to SolidWorks to recreate the surface 3D models using the reading, material information. 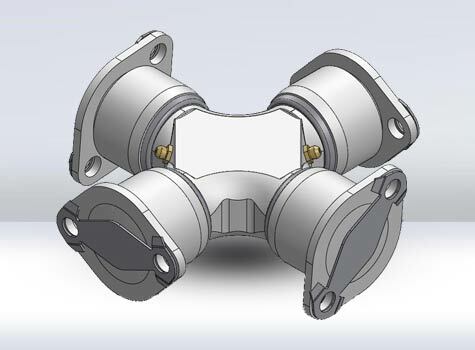 Appropriate fits and tolerances were used to create the 3D CAD model with design optimization to enhance the part performance. 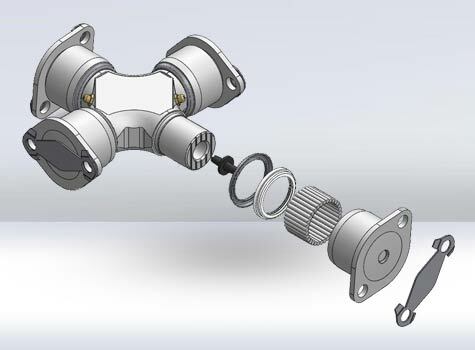 Final 3D CAD models and manufacturing drawings with quick design changes were shared with the client with them the manufacturer could recreate the parts. Reverse engineering process helped identifying the areas that needed design alteration with ease.